Access, affordability, compassionate and practical language education for all! These are the tenets of Downtown Languages and the vision of the founders. 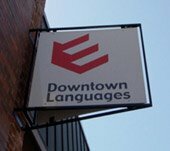 Downtown Languages (DTL) incorporated in January 2004 as Downtown English. 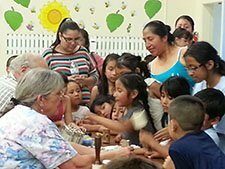 It began as a response to the language and educational needs of adult immigrants living in Lane County, many of whom had limited literacy in their primary language. From its inception, DTL has served students from all over the world, including many students from Mexico and Central and South America who have received very little formal education in their native countries. Spanish literacy classes are one example of how DTL helps learners to be more successful, not only in learning English, but also in adapting to a new culture. Throughout the past decade, DTL has continuously customized our course offerings to best meet the needs of the immigrant community we serve. Call or visit the office to sign up for classes.